Meat Industry Capacity and Feasibility Study of the North Coast Region of California NOTE: This is a 2 MB file and may take a while to download. 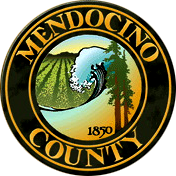 Printed copies are available from the Mendocino County Economic Development and Finance Corporation (MCEDFC) at a cost of $20. The full plans and technical specifications for the facility are also available from MCEDFC at a cost of $100. Out of the Past is a 55 minute video that will enlighten you on the role of livestock grazing, ecology, and how through buying local, we can maintain this important resource management tool. Here is a link to the Brand Inspector Directory. You will find it on the Branch Info section of of the CDFA Bureau of Livestock Identification page. Benefits & Costs Associated with an Animal ID System for Cattle in the U.S. Animal ID: Opportunities for Value-Added Marketing and Production Efficiencies. The National ID System and Country-of-Origin Labeling: How are They Related? Some Issues Related to Beef Traceability: Transforming Cattle into Beef in the U.S.